As you may be aware Halton & St Helens VCA is hoping to embark on an exciting new project to redevelop St Marie’s Church in Widnes. The building was designed by the eminent architect E.W. Pugin, built in the early 1860s with doors opening to the local community in 1865 from when it became a hub of social activity and a beacon for support, until it was sadly removed from use in 2007. The building now stands derelict, and suffers ongoing anti-social behaviour, further reducing its physical condition. Aside from the vandalism the building remains largely unaltered from its original design and includes many original features, and is considered by the Victorian Society as one of the ten most endangered heritage-rich buildings anywhere in Britain. We propose to secure the future of the building and use it to provide us with an operational base so that we can deliver a flexible resource for the voluntary and community sector across Halton and St Helens. The building will be operated on a financially viable basis, and will offer an extended range of services tailored to local need which we are unable to provide from any of our other locations. We also want to place local people and key local organisations at the heart of the decision making process where the strong heritage of the building is concerned, so this can be made available for all to understand and appreciate. As such, we’ve launched this blog to let you all know how you can get involved. If you’re a local resident, involved with a local voluntary organisation or just really passionate about history or preserving an important building, we want to hear from you! 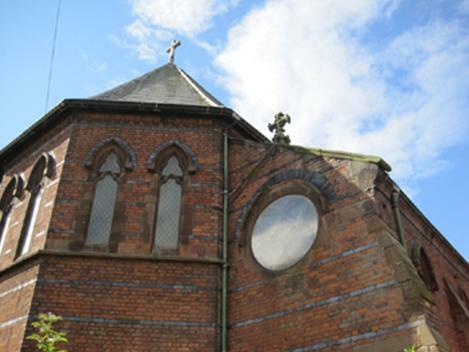 Our Volunteer Advisors Group is open to anyone who cares about St Marie’s Church. You’re very civil, Matthew ! – thank you.